Circular outline. Circular discus has central filling hole with recessed, narrow, flat rim, rays, and somewhat wide, flat framing ring with wide outside groove. Narrow, flat shoulder has small ovules. Large ring handle with two grooves attaches at discus rim and 3 mm above base ring, where it terminates in a long point. 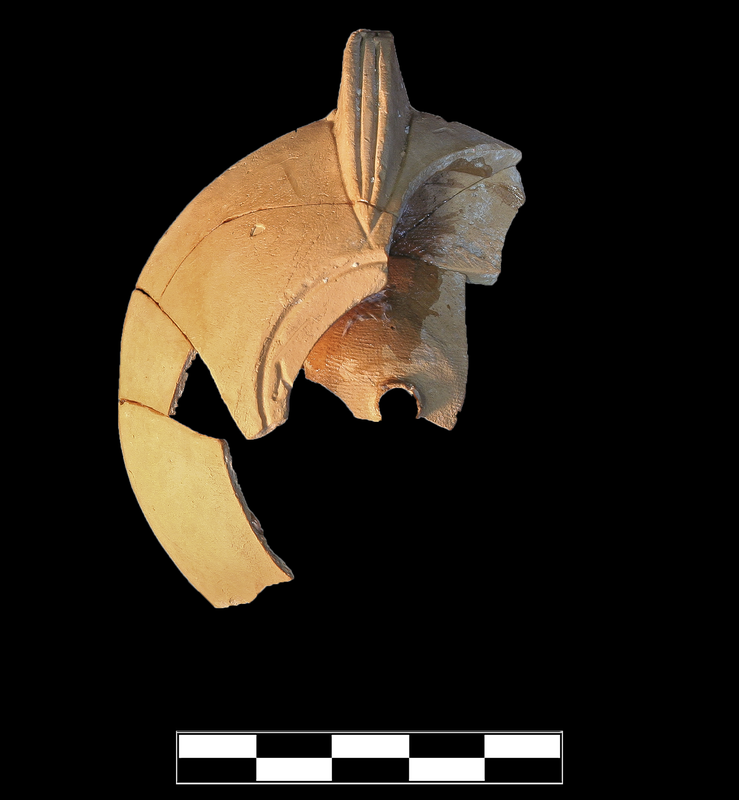 Flat, circular base has single groove around incuse signature: Λ[ΟΥΚΙΟΥ]? 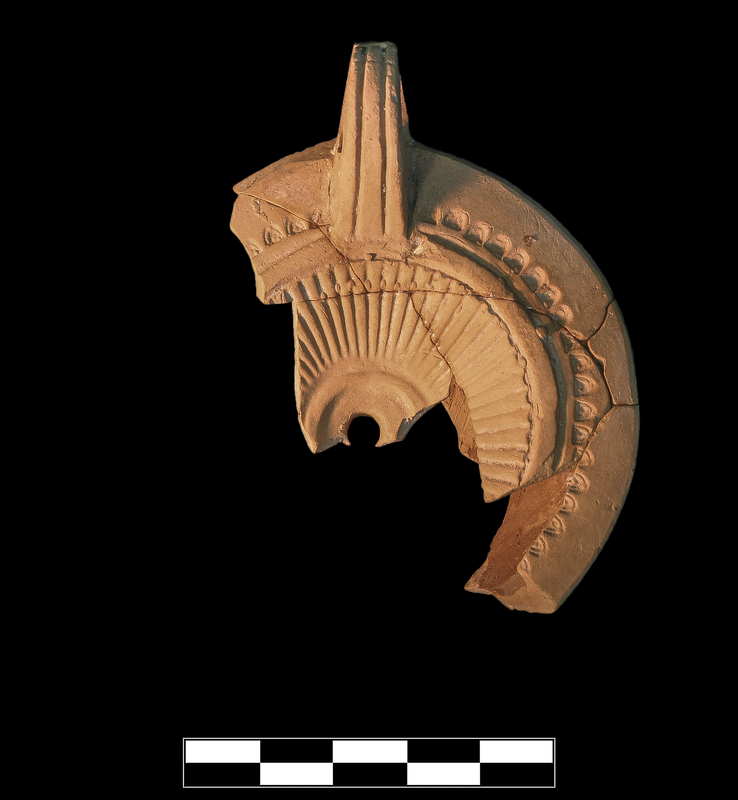 Early/Middle Roman Corinthian red lamp fabric: somewhat hard but slightly platy fracture, mostly fine but very small black and white inclusions. Numerous small clay nodules especially in details of discus. Seven joining fragments preserve over half of discus, roughly one third of shoulder, almost entire handle, and small part of back wall and base. Slight, extensive film of encrustation on all surfaces.